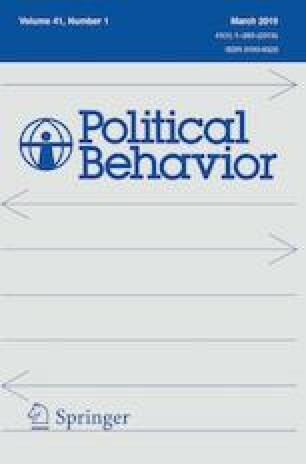 In light of important limitations in using observed contribution behavior or surveys to assess how donors respond to candidate issue positions, we present novel experimental evidence about how habitual donors (individuals who contribute above average amounts, multiple times, and in consecutive elections) respond to candidate issue positions. Using a vignette design, we provide causal evidence about the support for two types of divergence from typical candidate issue position bundles—being too extreme or bipartisan. We show “typical” candidates outperform all others in terms of likelihood of attracting donations, primary votes, and general election votes. We also find that donors’ responsiveness to positions vis-à-vis a non-donor sample is not solely driven by partisan intensity and key demographics (i.e., high educated, high income, age, etc.). These results provide evidence that party-consistent positioning among candidates and incumbents may be reinforced by donors’ opposition to issue positions that diverge from the party-standard. For helpful comments and advice, we thank Michael Barber, Andrew Hall, Seth Hill, Neil Malhotra, Eleanor Powell, Chris Tausanovitch, participants at APSA 2017, and participants at the summer research seminar at Yale’s Institution for Social and Policy Studies. Replication data are available at https://huber.research.yale.edu. The online version of this article ( https://doi.org/10.1007/s11109-018-9506-0) contains supplementary material, which is available to authorized users. Grim, R., & Siddiqui, S. (2013). Call time for congress shows how fundraising dominates bleak work life. The Huffington Post, 2/6/17. Retrieved January 9, 2018, from, https://www.huffingtonpost.com/2013/01/08/call-time-congressional-fundraising_n_2427291.html.